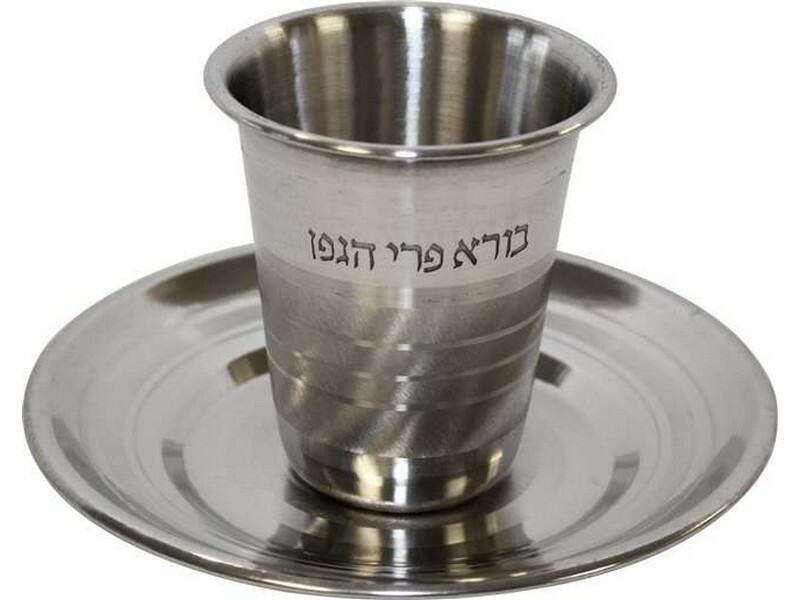 Made of stainless steel, this Kiddush cup is decorated in a simple and traditional style. Kiddush cup is slightly tapered with a rounded rim and has three lines creating a contrast of the matte and smooth finish. The words ‘borei pri hagafen’ are engraved towards the top. Kiddush cup comes complete with a round coordinating saucer.